One of the many interesting things about Hollywood and the acting profession as a whole is, you do not necessarily need years of experience to become famous. All you need is a stunning performance in a popular project to become a recognizable fan among film and television viewers worldwide. Fola Evans-Akingbola has been able to achieve that through her work on Siren, on Freeform where she plays the character, Maddie Bishop. Although she started her career less than a decade ago, Fola Evans-Akingbola has been able to appear in some stellar projects outside of Siren, such as an appearance in the global phenomenon, Game of Thrones and the film, VS. There is plenty to learn about the life and career of this budding actress and we explore some of them below. Read on. The young actress was born sometime in 1994 in London, England. She grew up in South London, specifically in Bermondsey. Following the completion of her basic education, she enrolled and was accepted into the University of London to study Philosophy, but she chose not to attend. Fola Evans-Akingbola has always had an interest in the arts. She grew up performing in plays when she was in primary school and had a father who is a musician. She, however, took a break from pursuing acting to explore other things such as a brief career as a model. A decision to cancel her admission into college gave her a chance to rediscover her love for acting and she did so by taking part-time acting classes at Identity Drama School. While she took the classes, she took a chance and auditioned for a place in the prestigious National Youth Theatre of Great Britain in 2014 and she secured a place in the historical organization. In theater, Fola has appeared in plays like School Play. In the same year she joined the National Youth Theatre, she earned her first credit as a television actress and it has been an onwards journey for the London-born actress ever since. Fola Evans-Akingbola may have had a stop-start relationship with acting growing up but once she decided to commit to the profession, she has been a high-flying actress. As expected of most British actors, Fola has a background in the theater but knowing the limited exposure that the medium possesses, she has invested a greater amount of time in onscreen productions. She appeared in her first onscreen role as Reanne in the television show, Youngers in 2014. It was her first experience of life as a professional actress. She appeared in just one episode, Links but it became the foundation on which every other appearance she has made on screen has been built. In the same year, she appeared in another episode of a TV series, Holby City, playing the character, Armani Qalanjo. When 2014 passed, there was a year lull in her career, failing to secure any role in 2015. In 2016, Fola Evans-Akingbola was back to appearing on television screens, this time as Rosey Fabrice in the British Drama, Death in Paradise. Her appearance on the show as Rosey was her first recurring role as an actress, appearing in four episodes. The year further became significant for her when she was cast in the globally followed television franchise, Game of Thrones as ‘Moro’s Wife #2’. She appeared in two episodes of the show. She then appeared in her first feature-length film, a TV Movie in the same year. The film is titled Dawn and she played the character, Pakalan. 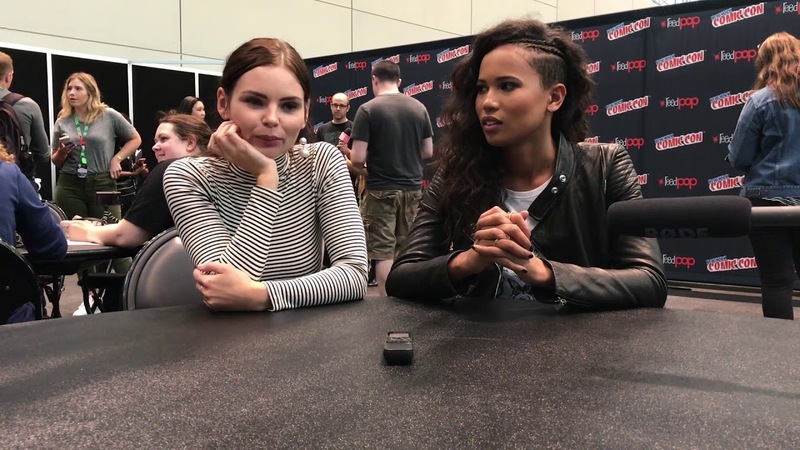 In 2018, Fola Evans-Akingbola began to play her most notable role till date, a marine biologist called Maddie Bishop on the Freeform Network show, Siren. She is a main character on the show and she has been a part of the series since its debut in 2018 through to its second season. Also, in 2018, Fola appeared in her first big screen project, a British film titled VS, where she played the character, Makayla. Fola Evans-Akingbola is not married and to the best available information to us, not in a relationship either. The budding actress at the moment appears to be focusing on her career which so far has been keeping her busy with the increased frequency of work since she started appearing on Siren. The Siren actress’ parents are Sola Akingbola and Dr. Gillian Evans. Her father is a Nigerian while her mother is an English woman who is an anthropologist. Her father, on the other hand, is a musician. Fola Evans-Akingbola is one of two daughters born to their inter-racial parents and they both spent time at the National Youth Theatre of Great Britain. The Siren actress stands at a height of 5 feet 8 inches. As the daughter of a Nigerian parent, she has dark brown eyes and black hair. Being a young modern actress in the age of social media, Fola Evans-Akingbola has a social media presence on Instagram with the account @folaevansakingbola. She is the nephew of Jimmy Akingbola who has appeared in shows like Arrow and Holby Blue.